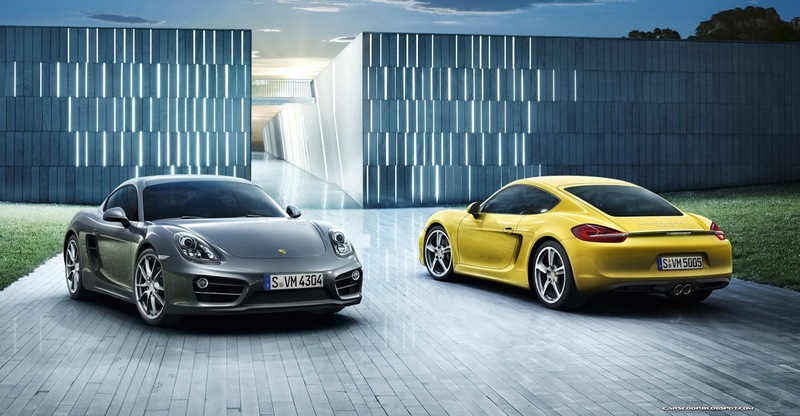 PORSCHE CAYMAN S 2014 – ALL A 911 COULD (OR SHOULD) BE? When Porsche decided to launch the Boxster during the 90’s, many of the brand’s purists were against it, however, no one can deny it was a great success. Porsche’s adventure with mid engine street cars resulted in a perfectly balanced car that would cause shivers to the most enthusiast 911 owner. But something was still missing until, back in 2006, Porsche decided to bring us the Cayman, which is basically a Boxster with a fixed roof. On paper, it meant the already brilliant package of the convertible model with a more rigid chassis. In practice, it meant a whole lot more. Released in 2006, in normal and S versions, with rear wheel drive and options of a manual or tiptronic gearbox, the car impressed everyone by its poise. Lighter weight, perfect steering, mid engine and a less flexible chassis resulted in one of the best driver focused experiences seen in ages. An immediate classic for sure. One of the most precise and balanced cars the automotive industry was yet to see. It was indeed a very docile car to drive. If 911 drivers always had to count on the best of their focus and skills to drive fast, Cayman owners would delight on the fact that the Cayman had a much more friendly approach. The first facelift came in 2009. More power and torque in the new DFI engines, as well as the arrival of the PDK double clutch gearbox. 2013 marks the end of the first generation Cayman, 987, and many have asked what would happen to the 911 if the Cayman had the same power plants as those of the bigger brother. The great problem about the Cayman is that Porsche placed it beneath the 911, almost side by side with the Boxster. Driving engagement seen in the Cayman made a lot folks wonder if it wasn’t about the time the 911 should follow the same path. I was a bit afraid that such new technologies could somehow affect the Cayman in a negative manner. The S version comes with a mid engine 3.4 boxer with 6 cylinders. It produces 320 Hp at 7400 rpm and 370 NM between 4500 and 6500 rpm. 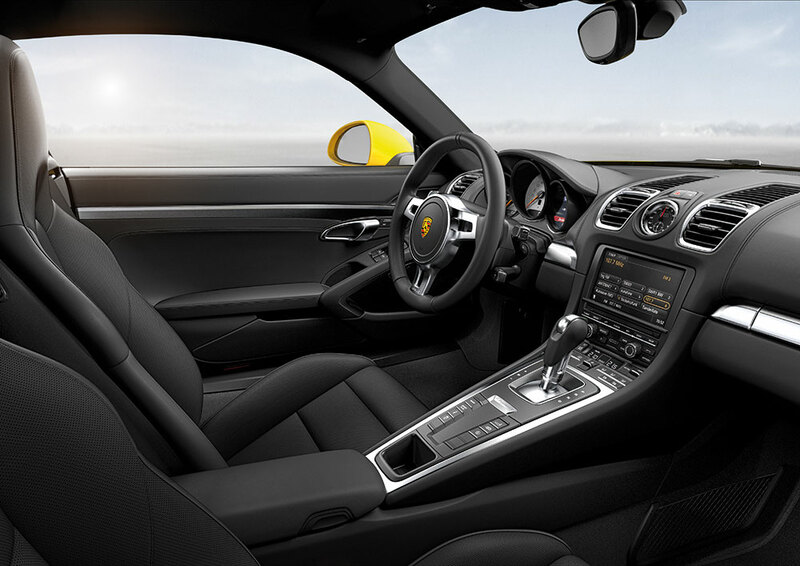 You can spec your Cayman S with a double clutch gearbox with 7 speeds or a 6-speed manual. Cars equipped with PDK and the Sport Chrono Package can go from 0 to 62 mph in 4.7 seconds and achieve a top speed of 170 mph. The car has a curb weight of 3141 lbs. Rev limiter is at the 7800 rpm mark. As soon as you enter the car, the first impression is that this car has a better interior than the previous generation. There has been a “Panamerization” in the same manner as with the 991 generation of the 911. Materials are extremely refined, with leather all over the place. There is not much of difference between the buttons and controls you see in a 911 and the those used in the Cayman. It is a terrific job of making the Cayman a more special place to be in. The major difference compared to a 911 inside is the feeling that everything is a bit closer to you. It seems like a smaller 911. Roof clearance is a bit lower, the sit does not travel as long as they do in a 911 due to the absence of the pseudo back seats and the engine right up there behind the occupants. Nevertheless, being 6’2”, I could find the perfect position without too much of an effort. If you are above this height, the Cayman may feel a bit more cramped. As with all Porsches, ignition is on the left side (for left hand drive cars). Electric parking brakes depressed, drive engaged and I started maneuvering the car slowly. In this moment I was able to realize how the Cayman feels like a shorter and smaller 911. Curiously, I feel like I am seating lower to the ground than in a 911. Driving calmy, the Cayman S benefits from all technology marvels of the latest generations of Porsches. Electric assisted steering is light under these circumstances. The new PDK calibration also facilitates driving around normally. Throttle response is sensational, much better than in the previous generation car. Suspension is almost at its finest tune between sportiness and comfort. Not harsh at all when commuting around town. As with all Porsches, all it takes is about a couple of moments for you to feel right at home even if you never driven one before. Nevertheless, for the benefit of this test, you must start playing with “Sport” and “Sport Plus” modes. By pressing either of those buttons you get sharper throttle response and a bit harsher ride due to the engagement of PASM (Porsche Active Stability Management) in its most aggressive personality. Not to say that the Cayman S becomes a wild animal with such buttons pressed, but perhaps you should save the “Sport Plus” for track days or, at least, consider driving the car with the gear lever in manual, otherwise you will be driving around town in “racecar” mode full time, as the car will simply look for the lowest possible gear to give the best performance possible. Personally, each time I want to have some fun in car equipped with the Sport Chrono Package, I usually press the Sport Plus button, deactivate PASM’s agressive set up and drive it manually through the paddles behind the steering wheel. This will allow you to savor the best driving conditions out of your Porsche in normal road conditions. Sport Plus in automatic and PASM’s aggressive set up will result in a jerky ride anywhere else outside of a track in my opinion. Paddle response is marginally improved over the preceding car. Auto response in gear changes is significantly faster. You simply cannot feel any loss of momentum in up shifts and downshifts are crispier than ever before. Overall, under hard acceleration, the Cayman S 981 feels more planted than the 987.2 car. The thing with the Cayman S 981 is that you should not approach it expecting a sudden rush of adrenaline each time you stomp the right foot. This car will impress you by its neutrality and refinement. The first time I accelerate the mid-engined Porsche, I needed to make a sudden change of direction to avoid a pot hole. The way the car responded is simply amazing. It is just so sharp and direct. I guess it is fair to say that the only way to obtain better responses is to either buy a track day focused car, such as a 911 GT3 or something along the lines of a Lotus. 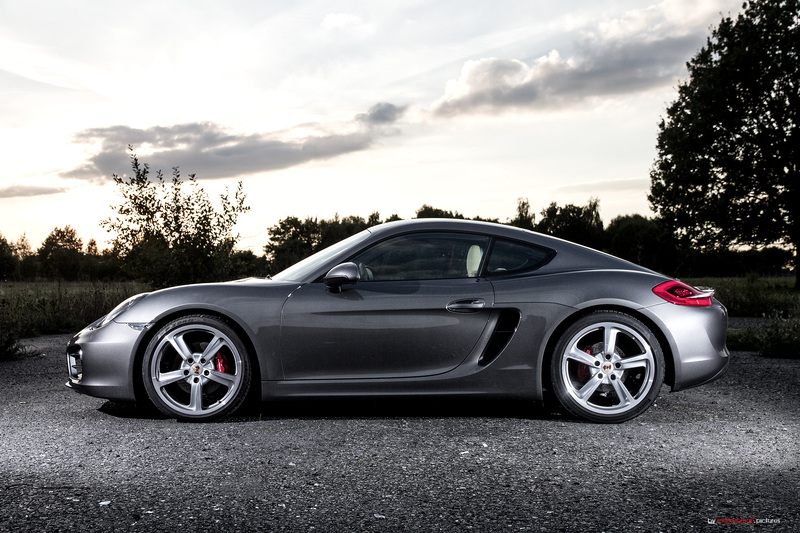 However, the Cayman S 981 has it fair deal practicality that those other track weapons simply do not have. Although I was a bit skeptical about the new electric assisted steering, I have to admit that calibration in the Cayman is much better than the one I experienced in the first 911 991. Steering response is much more alive than I could expect. It has a more direct link with the road you are riding on. You can feel different types of road conditions beneath you through the steering. This is a great surprise. When you put this system in the equation coupled with a mid engine set up, you end up with one of the most delicious cars I have ever experienced. Driver engagement is a blast. It makes you even wonder whether you could be happier with a more powerful car. As soon as we found clearer roads I witnessed how great this generation of the Cayman S can be. You are definitely forced to jump on the throttle earlier and brake later. It inspires confidence in such a manner that it is hard to describe as a 911 enthusiast. That sense of “wait for the right moment” you get whenever you are pushing a 911 around, it is simply absent from the Cayman S 981. It wants to be jerked around by drivers and play on the edge of its limits. It is such a symbiotic experience. You can feel each corner of the car. Do not get me wrong, 911 is an astonishing driver’s car, but you should never forget your sense of respect for it. I do not care whether you are driving a GT2 or a Carrera 4, once you lose your respect for the 911, it will bite. This means that you are always forced to drive the 911 in a focused and serious manner. With the Cayman S it feels as if the car is your buddy at all times. Of course, it is still a rear wheel driven car with a mid engine, but it is just so neutral and the whole set can handle its power in such a subtle manner that you can predict each of its reactions. I dare you to find any thing short of a praise for the Cayman S 981’s chassis, suspension, throttle response, steering, brakes and gearbox. It is simply amazing. So, with all said and done, does it mean that the Cayman S is a better car than a 911? Not at all. It means that they are completely different animals. Nothing is more wrong than saying that the Cayman is a scaled down version of a 911 or, as some would say, “the poor man’s 911”. 911 experience requires respect, skills and a focus at all times to drive it fast, whereas in the Cayman S you can relax, enjoy the show and earn yourself the right to laugh. How to choose between them? If both cars used the same engine, I guess that the general car fan would lean towards the Cayman. For the brand purist, the 911 is more than a car, it is a legend, a car culture by itself and unique in every sense possible. Those who understand the way 911’s drive, will forever idolize it as the best sports car in the world. But reality is that there is a huge power and torque gap between these cars. The Cayman S skills dynamically are phenomenal. Many insist that the Cayman is all a 911 should be. I see this in a different manner. Both cars represent two different ways of Porsche doing business, two classes of driving enjoyment. I believe that the consumer market is maturing towards understanding this concept. 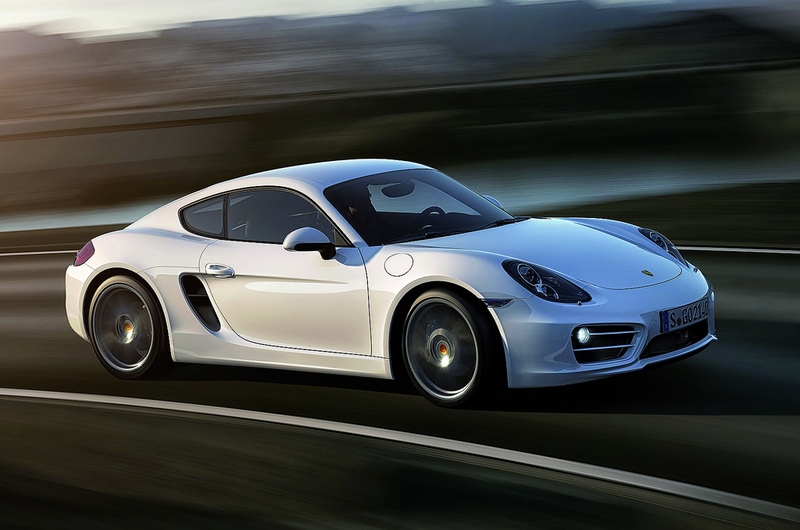 Should Porsche have released the Cayman back in 2005 with the same engines as the 911, it would have killed it. 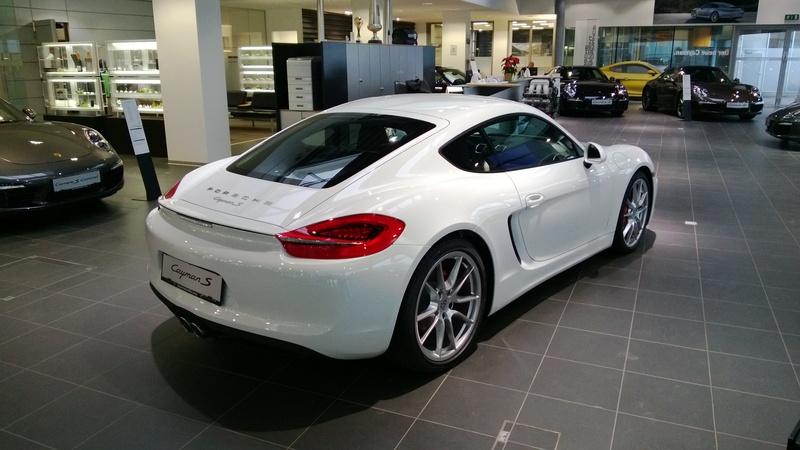 Nowadays, we see Porsche releasing a Cayman GT4, which curiously uses a boxer 6 cylinder engine with the same displacement and power figure as a 911 997.2 Carrera S – 3.8 and 385 hp. Let us praise it meanwhile it lasts, as we will most likely end up with a downsized four pot engine in the near future.